AWS IoT 1-Click manufacturing partners create devices that can securely connect to the Cloud right out of the box. AWS IoT 1-Click supported devices are pre-provisioned with certificates at the time of manufacturing. This means that these devices can securely connect to the cloud right out of the box. Further, there is no need to write firmware or device specific code to use these devices. 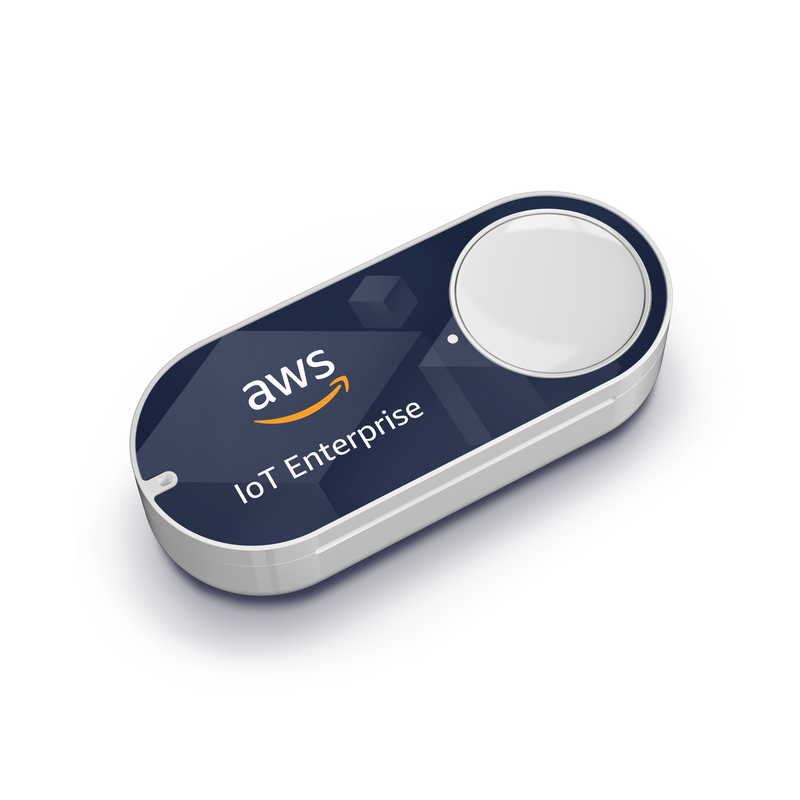 The AWS IoT Enterprise button is a Wi-Fi based, programmable button that is easy to configure and simple to use. You can use the AWS IoT Enterprise button to capture quick customer feedback without burdening customers with time-consuming questionnaires. It is designed for enterprises and developers to easily integrate with existing business workflows and systems using the AWS IoT 1-Click service. The AWS IoT Enterprise button supports three types of clicks: single, double, and long press. This device is available for purchase and deployment in the US, Europe and Japan. The AT&T LTE-M button is a cellular based, programmable button, that connects over AT&T's nationwide (US only) LTE-M network. This device is available for purchase and deployment in the US. Click here to purchase this device. Soracom LTE-M button is a cellular based, programmable button with replaceable batteries, that connects over KDDI LTE-M network in Japan. Click here to purchase the button from Soracom.